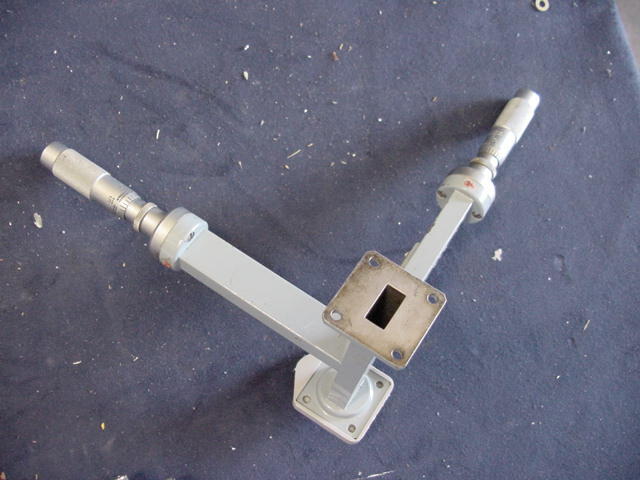 WR-62 Waveguide 12.4 - 18 GHz (P-Band) ID: .622" x .311"
DBF-319 demornay-bonardi p-band tunable detector? DBF-440A demornay-bonardi 16 - 20 dB atten. DBF-520 demornay-bonardi WR62 horn 1.5"
F-510 demornay-bonardi WR62 horn 1.5"
HP P281C Hewlett-Packard APC-7 TO WR-62 P-band adapter. 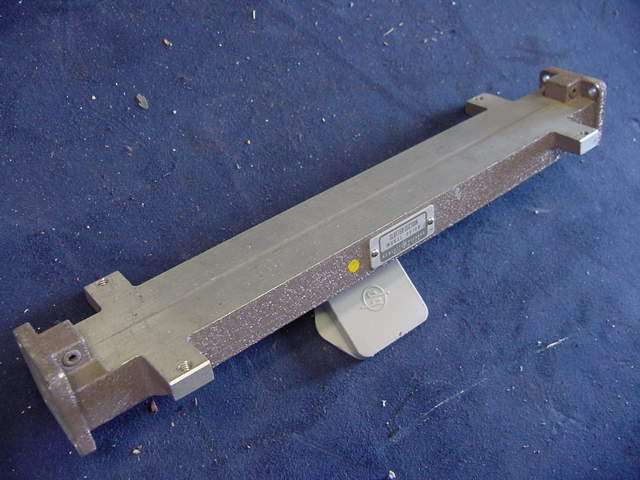 HP P487B Hewlett-Packard WR-62 bnc thermistor mount 100 ohm neg. call for avial JK . 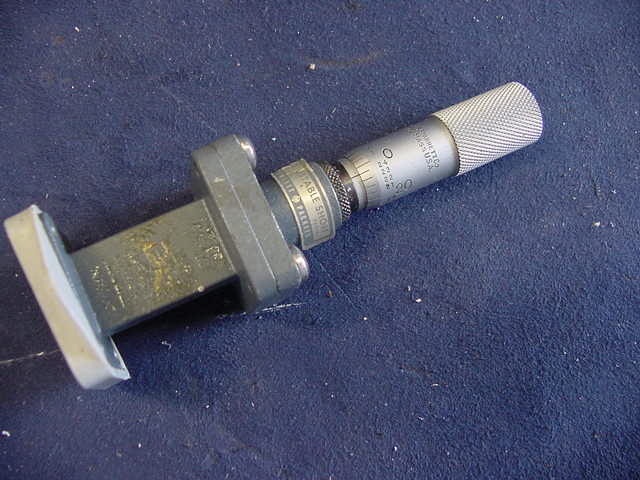 P353 Maury microwave WR-62 p-band micrometer adj. 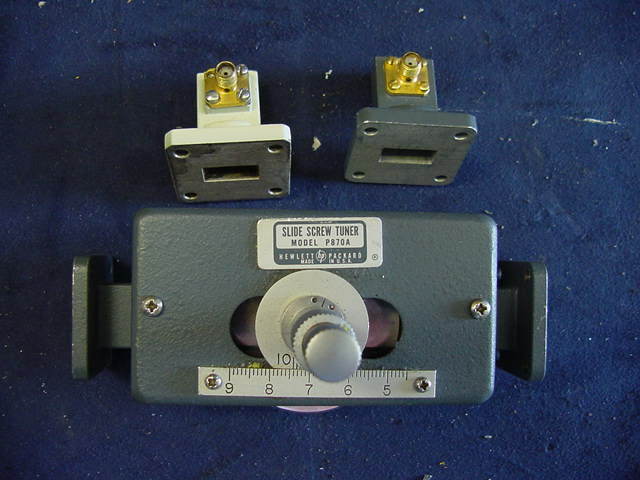 P-110-4 MCS WR-62 P-band straight 4"
P-112-4 MCS WR-62 P-band straight 1.5"
P-8406 MCS WR-62 P-band 1.5 "
62TH22E-1-1-62FS92 M D L WR-62 P-band divider? 62XT86 MDL WR-62 p-band magic T ? 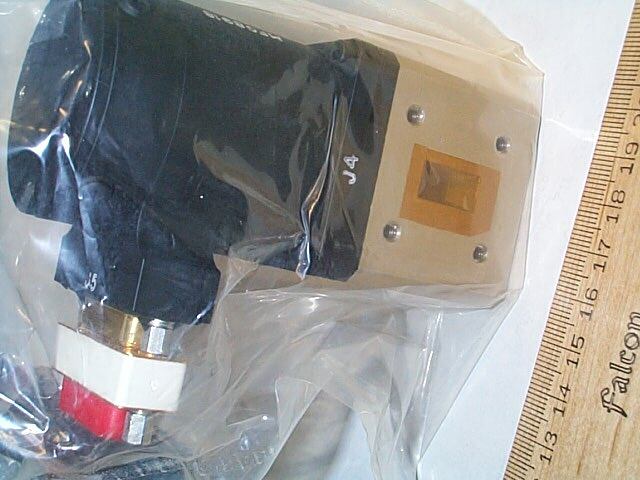 Y155A Microlab/FXR WR-62 p-band 0-20 dB variable atten. 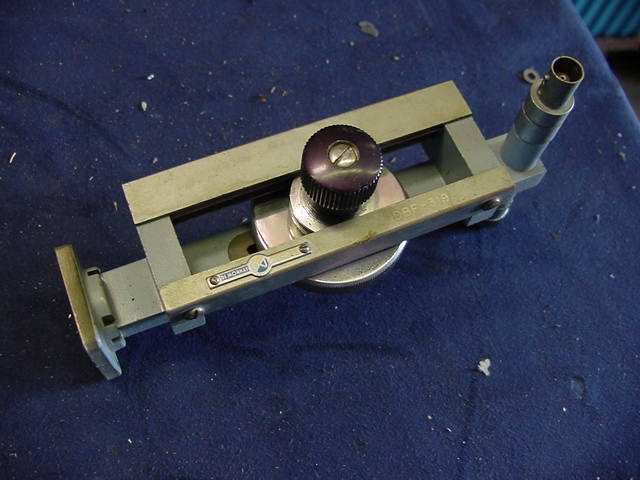 Y638A Microlab/FXR WR-62 p-band horn 6*5"
P-386 3DBM inc. WR-62 horn 1.75"
761 waveline WR-62 micrometer adj.